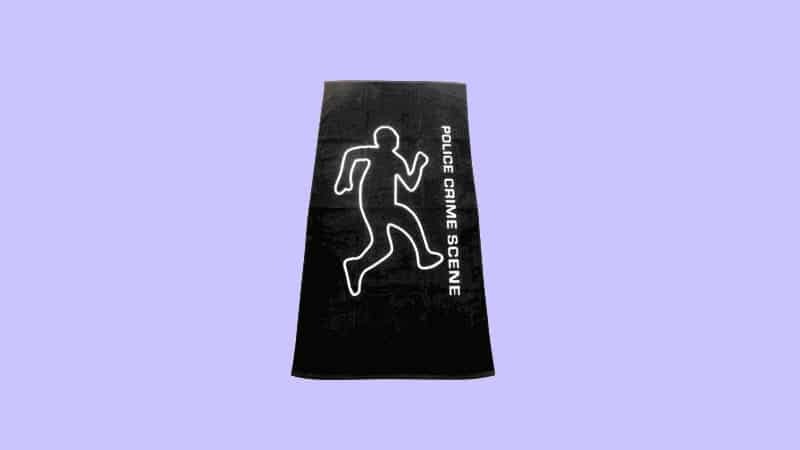 Home » LATEST OFFERS » POLICE CRIME SCENE BEACH TOWEL! POLICE CRIME SCENE BEACH TOWEL! Are you going abroad this year? Well why not take a crime scene with you in the form of this beach towel! Sold by Amazon this Towel is a novelty product which has been designed for CSI fans! The towel itself measures 76cm x 152cm, so it is plenty big enough to cover those white bits. The good thing about this beach towel is no one else will have one like it on holiday and you will be able to spot your deck chair a mile off! There isn’t any discount on the product but its selling for less than £13.00 so not that bad. Check it out now. Get this novelty CSI beach towel today! Stand out from the crowd on holiday and own this great beach towel.